Shamanian, M., Najafizadeh, A. (2004). Hot Charge of Continuously Cast Slabs in Reheating Furnaces. 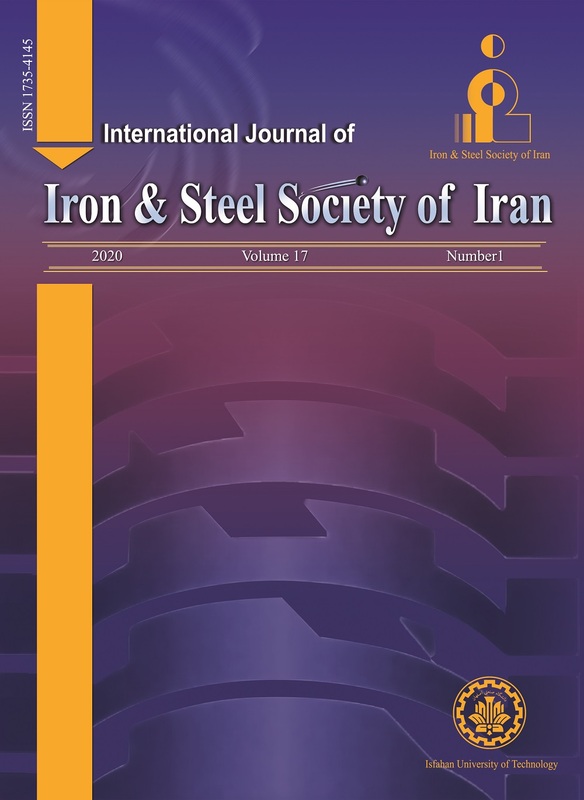 International Journal of Iron & Steel Society of Iran, 1(1), 35-37. M Shamanian; A Najafizadeh. "Hot Charge of Continuously Cast Slabs in Reheating Furnaces". International Journal of Iron & Steel Society of Iran, 1, 1, 2004, 35-37. Shamanian, M., Najafizadeh, A. (2004). 'Hot Charge of Continuously Cast Slabs in Reheating Furnaces', International Journal of Iron & Steel Society of Iran, 1(1), pp. 35-37. Shamanian, M., Najafizadeh, A. Hot Charge of Continuously Cast Slabs in Reheating Furnaces. International Journal of Iron & Steel Society of Iran, 2004; 1(1): 35-37. The hot charging of continuously cast slabs steel is usually considered an effective method to reduce the energy consumption in the hot rolling mills. In this work the application and optimizing of hot charging of continuously cast slab in Mobareke Steel Company has been investigated. Mathematical relationship between the cooling time of the stack of slabs and its mass average temperature is described. The results show that the application of the hot charging of slabs could reduce the energy consumption by 40%. Ironmaking and steelmaking, 17(1990), 53. R. Pichler, H. Schoster, S. Tichy, A. Seilinger, G.
H.F.Schrewe, Iron and Steel,19(1984) ,45. Continuously Cast Products, Hamilton, (1985), 269. E. E. Beiglzimer, A. L. O. Stapenk, YU. V.
 R. Gallob, W. Taschner, F. Hirschmanner and G.